As new housing options become available in the South Side community, some Lehigh students have the option of swapping on-campus dorm life for a more immersed off-campus experience. 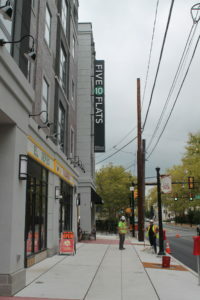 Five10 Flats, a luxury apartment complex on Third Street, provides housing for both Lehigh students and Bethlehem residents. “We just thought it was a really great opportunity for people to park their cars and be able to live in an environment where they can walk to work if they want to, walk to class if they need to and have their social (lives) within walking distance,” Shawna Green, the property manager of Five10 Flats said. Green said she wanted the the development to revive the South Bethlehem area while incorporating unused steelworks. The complex offers one- and two-bedroom apartments with amenities like granite counter tops and a dry cleaning service. While the new housing development could bring more students into the South Side, Julianna Gimpert, ’20, who works at the Starbucks located on the first floor of Five10 Flats, said she worries about the impact Lehigh will have as it stretches further into into the South Bethlehem community. Gimpert said Lehigh students frequent the new Starbucks, which opened this summer and is more integrated in the Bethlehem community. She thinks Lehigh students are starting to get more comfortable with exploring South Bethlehem, which hasn’t always been the case. Vickie Sairbairn, the community manager of SouthSide Commons, said she believes the apartment complex will impact Lehigh students significantly. SouthSide Commons, located on the corner of Brodhead Avenue and West Packer Avenue, is expected to open for the start of the 2019 academic year. Tenants will live in studio-, two-, three- and four-bedroom apartments and can choose between 12-month or academic year leases. “For Lehigh in general I think this is going to be a great new property for students and a great opportunity for upperclassmen to live in a brand new building,” Sairbairn said. The apartments will come fully furnished with modern appliances and will allow tenants to have pets. SouthSide Commons will also offer amenities including a fitness center, study lounge, HD digital cable, bike storage and an outdoor green space. Sairbairn said all construction is on schedule and the company hopes to host hard hat tours of the site in the spring. The building is expected to be complete in June 2019 and all residents are set to move in August 2019. Green said the community has been in need of these new housing options. As a public policy and affordable housing expert I am so glad that higher-end market rate units are being developed south of the river. Gentrification south of the river is greatly needed and will benefit Lehigh and Bethlehem. The community leaders of Bethlehem, facing NIMBY-ism, has placed a surprisingly large quantity of poverty in a small area south of the river for many years. This location is penned between Lehigh and the river. Look at maps for the location of the area’s public housing and low income housing developments in the Bethlehem – you will find them in its swath. Creating poverty density (Cabrini Green style) is not a best practice for urban development as practiced by Affordable Housing trade groups or land usage planners such as ULI. Best practice for the past 20 plus years has been to de-concentrate poverty – HOPE VI style and utilizing other tools such as New Markets Tax Credits. The result is to build low income rental and for sale housing into the community where jobs, better schools, service providers, less crime, and better/cheaper shopping exist (south Bethlehem is a food desert for example). 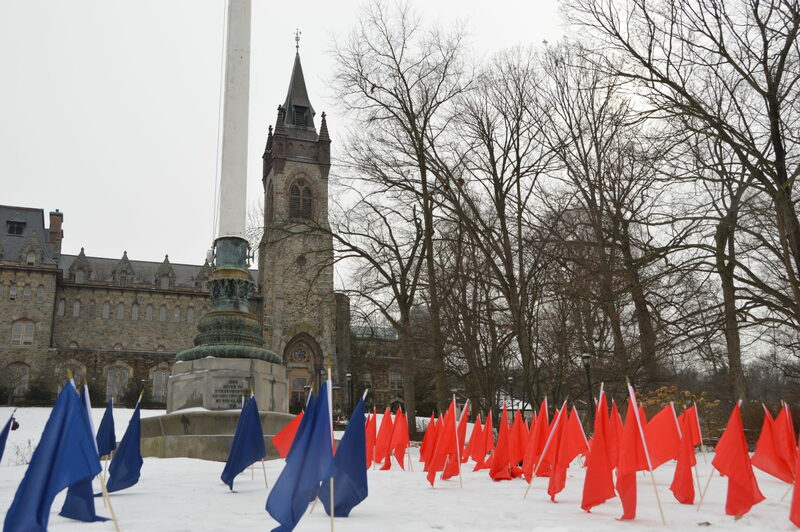 High concentrations of poverty layered in a narrow wedge between the river and university is a failure of the local government which has hurt those living in low income communities and it has hurt the safety of students at Lehigh. With enough gentrification hopefully property values will rise and Bethlehem will be forced to truly integrate low income residents into the Bethlehem community instead of dumping them south of the river. I have worked on these issues around the country for 30 years. And I have not seen a town as red lined with economic poverty as Bethlehem – the low income residents and university should demand better. The local government should be ashamed of what it has done over the years. Hopefully the market forces of gentrification and growth of Lehigh will break this cycle.